And the start of a new one with "Slamat", may the adventures continue. Having arrived back in the Uk in early July 2013 Pegasus spent a long winter on her mooring in Cowes with occasional usage. 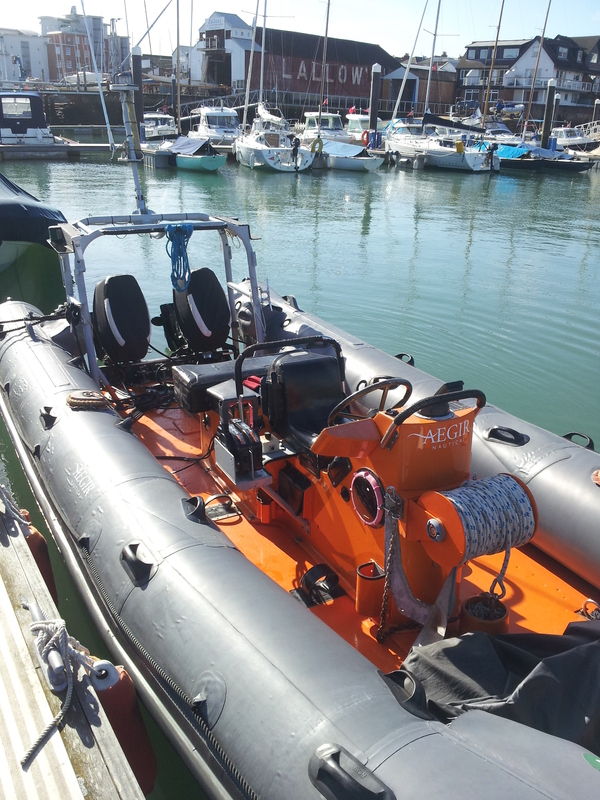 In July 2014 she was sold to her new owner who spent 8 weeks in Cowes gving her a refit. She left Cowes at the end of the summer to travel to Germany where she will winter before starting her warm water travels in 2015. We wish the new owner well and are gald that Pegasus has found a good home and will continue her adventures. We have had a fantastic 6 years with Pegasus and have met some remarkable people. “Things never seem to be simple and straight forward when it comes to boats and this one will probably not disappoint in that regard”…these were the opening words in the eagerly awaited e mail from designer Chris White in Jan 2007. Many thanks Chris for all your encouragement, support and advice over the years ... we wish you well with your designs in the future...Pegasus is a remarkable boat. To all those who we know and whos tracks we have crossed over the past years we hope to see you out there again soon and wish you following winds and peaceful journies. We have never had such a fantastic time or met so many great people. We will miss you all. To those of you who are contemplating an equal adventure, all we can say is It will change your life and you will never look back. Phew....Life carries on for us with no immediate plans for another large crusing yacht yet. We have fallen back into the world and are finding our feet. The Boys are at a great school and enjoying the new challenges that that offers. We are getting to grips with some business and trying to slowly move forward. We have been busy on the water sailing Cowes week and local racing with some success. 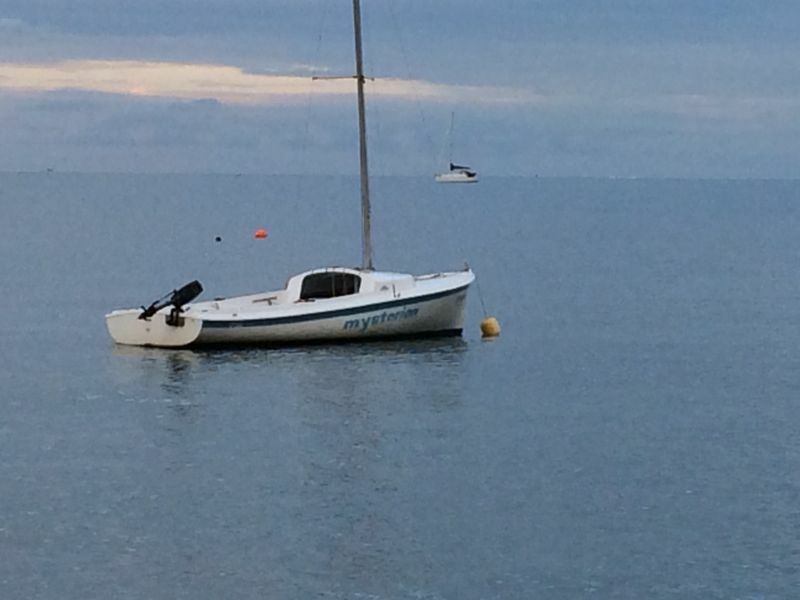 More intrestingly we have bought a dinghy for the boys (Uffa Fox designed O Day daysailer called Mysterion) and have spent a happy summer playing around the shores of the Isle of Wight..... I think there must be a formula somewhere relating LOA, Displacement, wind / wave height to give an factor for adevnture.... we definately get to feel the edge in Mysterion. 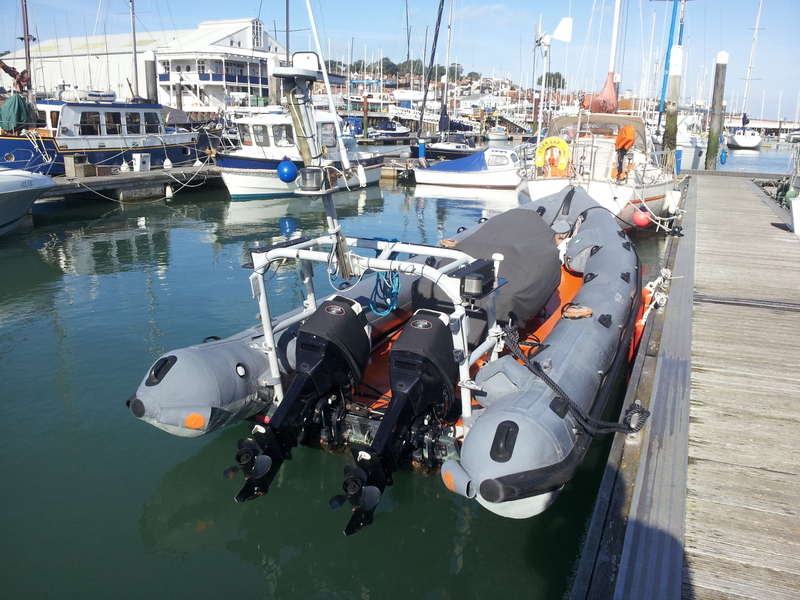 In addition we have bought an old RHIB to help us get about and lookforward to some memorable fishing and fun around the solent next year. We are a family of four who have spent the last 6 years on board Pegasus, as we have sailed around the world and had many amazing adventures. We have now completed our circumnavigation that saw us sail from Norfolk Virginia, down the Inter-coastal waterway, over to the Bahamas and back to England. We left the UK again after a 6 weeks stop and headed to the Caribbean via the Canaries. Heading West, we had Christmas 2008 in Grenada, and pushed on to Panama via Cartagenia and the San Blas islands. April 2009 saw us through the Panama Canal and on to Australia via the Marquesas, Tuamotu's, Society's, N Cooks, Tonga, Fiji and New Caledonia. Christmas 2009 was spent in Sydney and we pushed South via the Bass Straight and West to Perth via the Great Australian Bight. Cruising up the West coast saw us in Shark bay and through the Ningaloo reef and on to Darwin via the Kimberley. In July 2010 we headed up to Indonesia and had Christmas 2010 in Phuket, Thailand. Leaving early in the new year we headed to Sri Lanka and on to the Maldives where Amanda and the Boys flew back to the UK while i sailed Pegasus up to Port Ghalib in Egypt via Aden. After a whirlwind trip through the Mediterranean we arrived back in Cowes, Isle of Wight in August 2011. After a month or so we headed via Morocco to the Canaries for a refit, and on to the Caribbean for 2012. We put the boys in school in Grenada in July 2012 and spent a happy year refitting Pegasus and enjoying a little Caribbean life. In July 2013 Pegasus completed a light wind Transatlantic and in July 2014 she was sold. You view this site at your own risk. Cruising is seriously addictive and can be hazadous to your financial security.